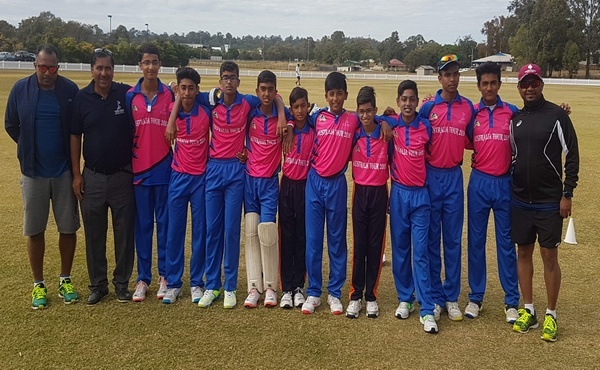 The 18th Annual Young Talent Cricket Academy tour changed tables when it was toured to Queensland Australia which was another success which ended on the 11th of August 2018. The group of 30 including parents and coaches left the UAE on the 31st of July 2018. The Group was accompanied by Founder & former UAE player/ 1996 World Cup player Mr. Shahzad Altaf, Director & Cricket Australia Level II Coach Mr. Mahesh Fonseka and Head Coach & Cricket Australia Level II Coach Mr. Virosh Fernando. The touring group of the two age groups (U16 & Over 20) reached Queensland, Australia and the group had their training and matches both in Brisbane and the Gold Coast. The group started the tour with a training session at the Bupa National Cricket Centre, affiliated with Cricket Australia and mid tour training Session with First Class Coach Mr. Terry Oliver. During the tour, matches were played with teams such as Walston Park Cricket Senior Team, Coomera Hope Island Cricket Club, Walston Park Cricket Junior Team, Queensland Lions, Bizzy Lankans, Somerset College, Queensland Rohingya Strikers. Overall both our teams performed really well in Australian condition while we had some outstanding performance in both categories. Right handed Batsman Cherian George (56 n.o) & (77 n.o) against Coomera Hope Island Cricket Club & Walston Park Cricket Junior Team, Left handed Batsman Ebrahim Alam (104 n.o) against Walston Park Cricket Junior Team, Right handed Batsman Panjika Piyasiri (74 n.o) & (99) against Bizzy Lankans/ Queensland Rohingya Strikers, Left arm bowler Rhean Alaric (5 for 20) against Bizzy Lankans, Right Handed Batsman Isra Ahmed (61 n.o) against Queensland Rohingya Strikers was some of the match winnings performances during this year’s tour.